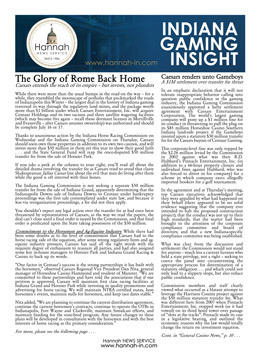 Indiana Gaming Insight is the only publication exclusively devoted to in-depth coverage of Indiana’s multi-billion-dollar gaming industry, providing detailed information on Indiana’s commercial and Native American casinos, racinos, horse racing, sports wagering, lottery, charity gaming and all facets of gaming regulation and policy. The newsletter, which began publication in 1993 – before the first casino opened in Indiana – offers detailed monthly analysis of casino and racino revenues broken down by region, market share and performance relative to Illinois and Ohio, slot paybacks, and other information – and key Hoosier Lottery metrics. The newsletter is the sole comprehensive source of information about gaming-related activities of the Indiana Gaming Commission, the Indiana Horse Racing Commission, the State Lottery Commission of Indiana, and the Alcohol and Tobacco Commission. The newsletter tells you what they’re likely to do, what they’ve done, and how their activities will likely affect you and your work. 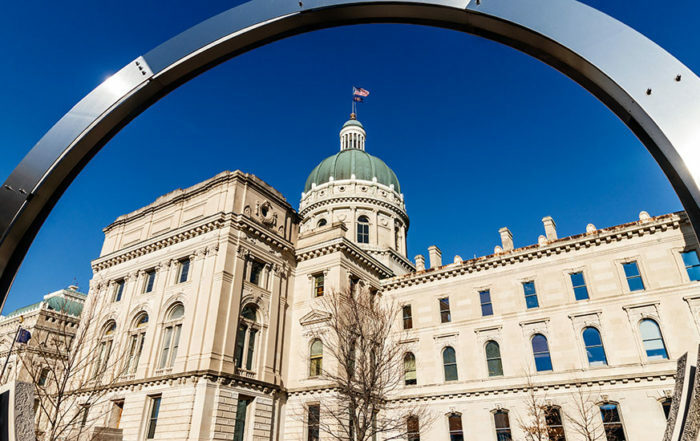 The newsletter also covers the work of the Indiana Department of Revenue, Office of the Attorney General, and Indiana and federal courts as they review and regulate gaming-related activity.